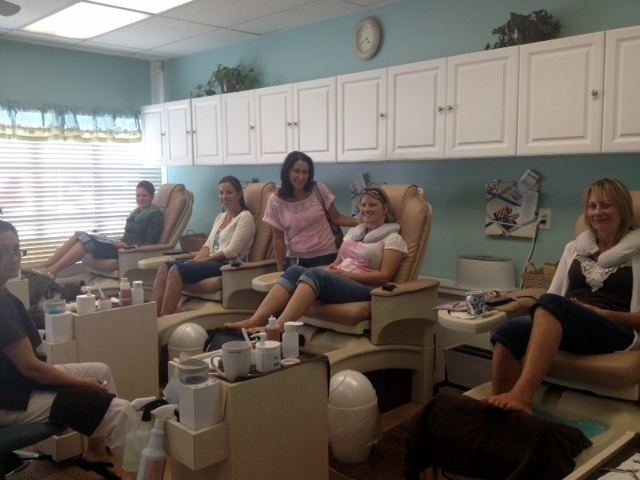 We want to thank Simply Skin in Toms River, NJ, and the women who stopped by the spa Wednesday to learn more about 3D mammograms while taking a few moments to relax. We enjoyed meeting you and telling you about the advances in mammography that have improved breast cancer detection. We know how hard it can be to find the time in your busy schedules to take care of yourself. We are focused on helping you to do just that. At ella health, we offer easy scheduling, including online appointment requests so you can make a last minute mammogram appointment if needed, or you can schedule in advance to coordinate your appointment with your annual physical exam. Once here, you will find a relaxing spa-like atmosphere to help you feel comfortable. We have fresh coffee or tea in the waiting room and real warm robes.